In this update, which will be going up regularly every month, we'll be taking a look at some of the best projects to have surfaced in our modding forum. 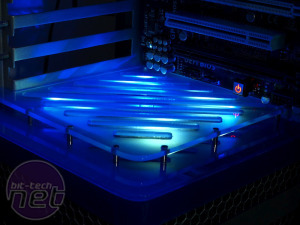 We'll also include a short update on how bit-tech's Case Mod Index is doing. In case you haven't heard about the Index, it's a database of case mods which makes it easy for you to see what other modders have done with specific cases, meaning you'll be up and running with your own project log in no time. You're able to choose cases by manufacturer and go straight to the relevant project log or article for more information on how to mod your case - great if you're not sure how, or need some inspiration. We've even listed whether or not the mod was water-cooled so you can see exactly what fits and how. 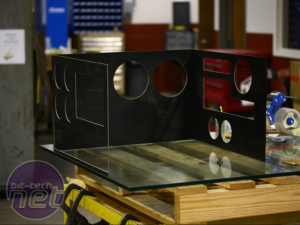 Your project needs to be complete and with significant modifications - these can include spray paint/powder-coat or water-cooling hardware. There are now nearly 60 projects using nearly 40 different cases from 14 different manufacturers in the Index, so if you've ever wondered what other people have done to your case in the way of modding, make sure you check it out. Back to in-progress projects, and we've been keeping a close eye on several of these projects for a while now as each has huge potential for being one the best projects that we'll see in 2012. First up is D33P THOUGHT by Asouter. 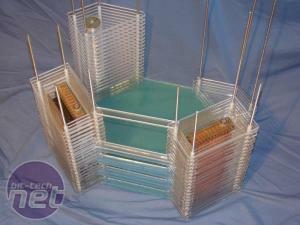 Early sketches in the project log show towering stacks of acrylic which certainly caught the eye of many forum members. 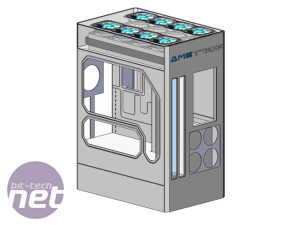 The project is going to be water-cooled, with the radiators housed in two of the stacks, cooling three Hd 6970 2GBs. If Asouter carries on like he has been, D33P THOUGHT is going to look absolutely awesome when it's done. 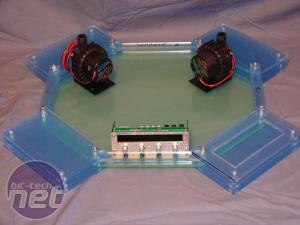 Next is Project Ametros: Scratch Built Carbon Fiber Case by motorsportcfd. The renders motorsportcfd posted when the project first hit our forum at the end of January were impressive enough, with a menacing, sizable tower sporting more than a few fans and radiators. If that wasn't enough, the case itself will be scratch built using carbon fibre. The project is already well underway so make you don't miss anything. The final project we'll be taking a quick look at is Blue Horizon by riekmaharg2. The project is nearing completion and we were recently treated with some fantastic photos of some of the completed sections of this stunning, detailed and painstakingly-made scratch build, which has been on-going since summer 2010. Thankfully riekmaharg2 hasn't given up and we're sure to be in for some serious eye candy in the not too distant future. Finally, if you haven't already, make sure you vote in this month's Mod of the Month, where six new projects are competing for the top spot. As always, if you think you're project is worthy of being immortalized and featured on bit-tech's front page, email us at modding@bit-tech.net.